Intel has officially unveiled the Thunderbolt 2, the second generation of fast interface for connecting computers with a variety of peripheral devices. Thunderbolt 2 is a more advanced controller codenamed Falcon Ridge, while the cables and connectors remain the same as they were in previous editions. The interface now supports twice the bandwidth per channel compared to the first generation Thunderbolt (20 Gb/s versus 10 Gb/s). 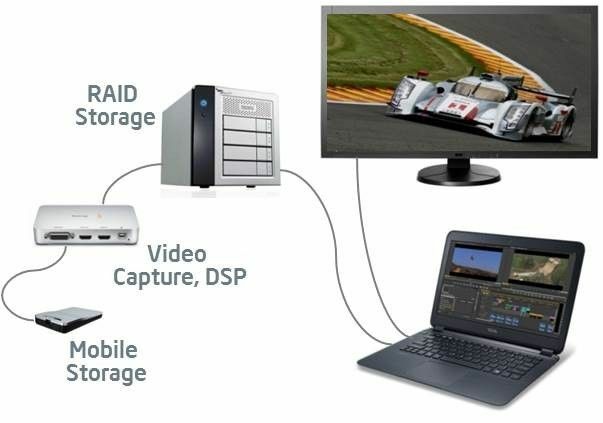 Improvement, according to Intel's words, is made by combining two independent 10 Gb/s channels into a single bi-directional bandwidth of 20 Gb/s, which support data transfer and display of images on the connected screens. The technology is compatible with existing cables and connectors, and continues to support chaining of multiple devices. 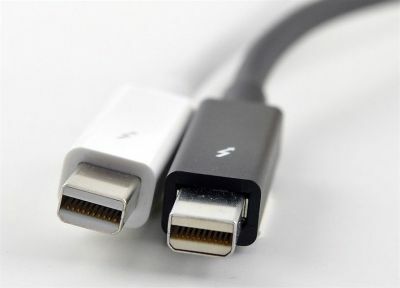 Start of production of Thunderbolt 2 controllers is expected later this year, while the mass availability of Thunderbolt 2 devices is expected in 2014.